With the Beijing Olympics just around the corner, the former Olympian made a humble request to the warring parties of Sri Lanka in an open letter recently. He urged the two sides to honour the ancient Olympic tradition of ceasing hostilities during the time of the Olympics. 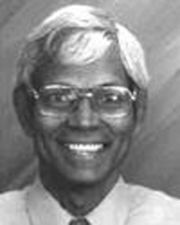 In boxer dominated contingents to Helsinki (1952) and Melbourne (1956), the Jaffna born high jumper Nagalingam Ethirveerasingam was Sri Lanka’s only athlete to the Olympics throughout a decade. The Helsinki Olympic team included three boxers (L. P. Handunge, H. P. Jayasuriya, B. C. Henricus), a swimmer (G. C. Marks), diver (Alan Smith) and one athlete. The Melbourne Olympic team included just two boxers, the Jayasuriya brothers (H. P. Jayasuriya and C.P . Jayasuriya) and one athlete. Although the high flying athlete could not be among the medal winners at the Olympics, Ethir, as he is lovingly called by his colleagues, won a first for Sri Lanka at the Asian Games. Ethirveerasingam won the Gold in the high jump event at the 1958 Asian Games in Tokyo. Four years later he won the Silver in the same event at the Jakarta Asian Games. However, more than his prowess in athletics during his heyday, what is mostly talked about him in sports circles today is his generosity towards up and coming athletes of Sri Lanka and his commitment to promote peace in Sri Lanka. Two Sri Lankan Olympians, namely Olympic medal winning athlete Susanthika Jayasinghe and Athens Olympics participant Manjula Kumara consider him a father figure who has extended his generosity during their stays in the USA (for training). As revealed by Jayasinghe in these pages, after she made a comeback to form with a World Championship medal, it had been former Sri Lanka champion high jumper Nagalingam Ethirveerasingam who had helped her find a coach (Dave Rodda, the Assistant coach at the California State University), in the absence of her expert coach Tony Campbell when she went to the USA. Manjula Kumara, who is studying in the USA too, is looked after by Ethirveerasingam. "During this modern Olympiad in Beijing in August 2008, I am openly appealing to all warring parties in Sri Lanka to declare a unilateral cessation of hostilities for two months from July 15 to September 15, 2008, just before, during and after the Olympics," Ethirveerasingam urged in his letter. "An Olympic Period for Peace will renew the tradition, hopefully, throughout the world. It will provide a respite for the suffering peoples. The parties to the conflict and the general population can use the peace-space and time of the Olympic Period for Peace to reflect and engage in dialogue, exploring non-violent paths to peace," Ethirveerasingam said in his letter. Like many former Olympians in the first three decades after independence, Ethirveerasingam too is domiciled overseas. Currently in the USA, Ethirveerasingam has chosen a path that very few Olympians have opted to walk as he is spending his retirement from athletics to promote peace in Sri Lanka. © 1996-2019 Ilankai Tamil Sangam, USA, Inc.